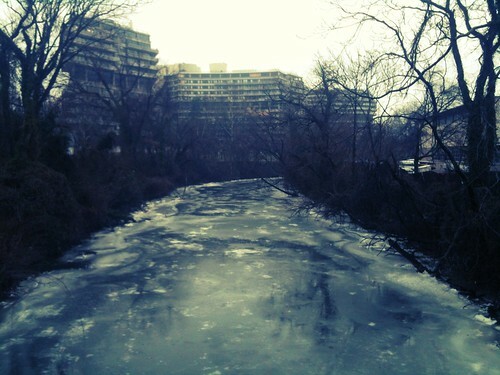 Most Georgetown-related Capital Bikeshare rides are to or from Georgetown, not within Georgetown. Are you a creative writer? Come on out to the library every last Tuesday to talk shop with some fellow writers. 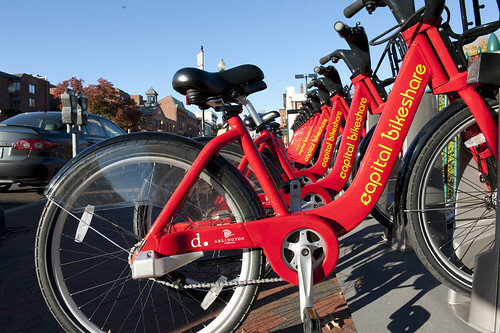 This has been a great week for Capital Bikeshare! 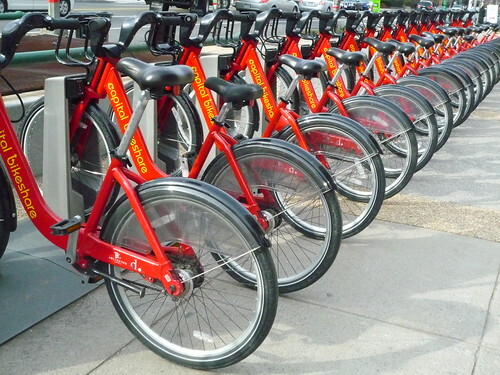 It started off with Slate naming it the best bikeshare program in the country. And now the inestimable M.V. Jantzen has created a program that allows you to click on any bikeshare station and find out where people ride to from that station and where people road from to arrival there. 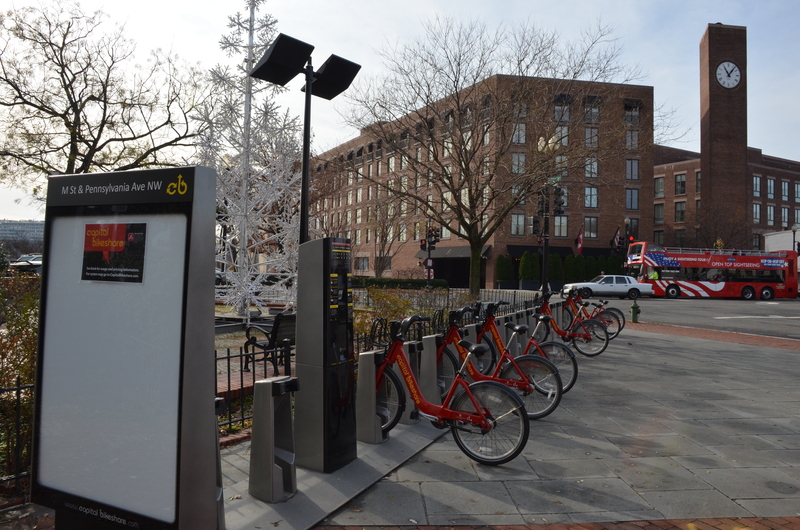 As wonderful Christmas/Hanukkah/Winter Solstice gift, Georgetown received its fifth Capital Bikeshare station, this one located at the intersection of Pennsylvania Ave. and M St.
Georgetown Inn sold for $34 million. The Monticello sold too. DDOT announced yesterday the location of 32 new Capital Bikeshare locations (and 18 expansions of current stations). Georgetown is getting only one new station (and one expansion). The new station will be at M and Pennsylvania and the station on Wisconsin by the canal will be expanded. The expansions should take place this fall. Back in April, DDOT initial proposed this expansion, and included two proposed locations for Georgetown. They were the north end of Rose Park and the Long and Foster parking lot. Both of these proposed locations were problematic for different reasons GM discussed back then. Tonight, the ANC meets for its May session. It looks like a relatively uneventful agenda, but that’s never stopped the ANC from going long before! EastBanc returns again tonight to discuss one of their proposed large scale projects. This time its the Verizon building project on Wisconsin just south of the canal. The project has gone through several revisions. The first major change was to shift away from an all-stone project to a mixture of brick on the Wisconsin Ave. side and stone facing the canal. 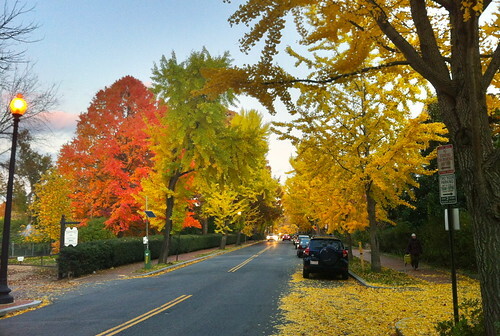 Last month, however, the Old Georgetown Board still objected to the design. The objections focused on the imposing nature of the stone wall facing the canal, and the confusing facade facing Wisconsin (GM’s seen it, and it is a bit jumbled). We’ll see tonight how they respond. Tonight the ANC is taking the first steps to politely request that DDOT consider the locations that the ANC first identified. There is a bit of a fear that if the ANC complains too much about the proposed stations, DDOT will simply take them away. The ANC has to strike the right tone by saying that Georgetown definitely wants these two stations, they just need to be relocated to more desirable spots.